Pro Performance Weight Gainer contains 50 grams of high-quality protein in a wellness formula designed to digest and release varied intervals throughout the day to ensure your muscles get the amino acids they need. Explore the entire range of Bulk available on Nykaa. 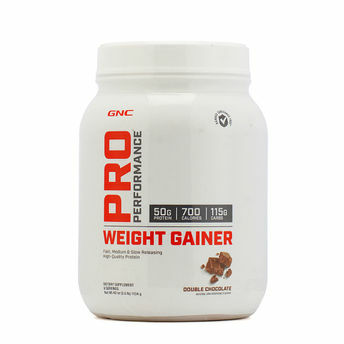 Shop more GNC products here.You can browse through the complete world of GNC Bulk .